Last month I attended the launch of the SEE Soho boutique at 423 West Broadway. 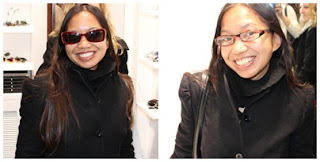 I was amazed at the fashionable selection of eyewear and sunglasses, with an exclusive, limited quantity available in each style/color every season. SEE, which stands for Selective Eyewear Elements is voted "Best eyewear" coast to coast, with sunglasses at $99 and eyeglasses ranging between $169-339 depending on the prescription. 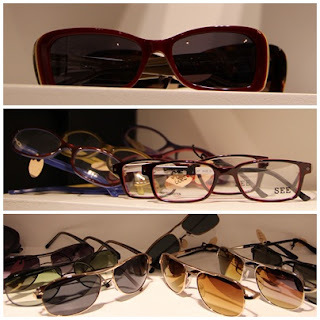 The best part of shopping at SEE is that their entire prescription eyewear collection is priced at $169 and includes a single vision prescription lens! High index (thin) lenses are available at an additional cost, ranging between $70-184. Eye exams can be scheduled at the SEE boutique with one of their independent Doctors of Optometry. Comprehensive eyeglass exams are $69. Cost with insurance varies depending on the insurance plan. If you can't make it to SEE Soho, SEE has two other NYC locations at 207 Columbus Avenue and 312 Bleecker. Other locations include California, Colorado, D.C., Florida, Illinois, Massachusetts, Michigan, Ohio, South Carolina and Tennessee. Learn more about SEE at seeeyewear.com. I can't wait to go back to SEE and get a new pair of eyeglasses! 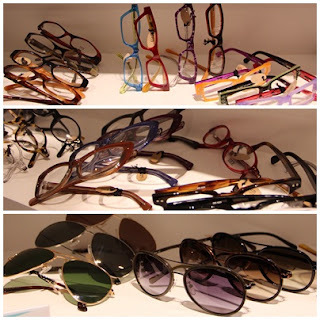 I tried on dozens of frames and sunglasses. These were two of my favorites! I love all the unique, colorful frames featuring tortoise, marble, streak, gradient, dual-toned and ombre designs. Usually it's hard for me to find one pair of frames I like and I found several! They carry all different sized frames, so it was very easy to find a style suitable for my face.